Martha Tejera brings more than 30 years of consulting experience in the design, funding, administration, and communication of retirement plans. Since 2005 she has focused on helping plan sponsors evaluate, select, and establish service arrangements for their retirement programs. She enjoys partnering with benefits staff, Committees, vendors, and other benefits professionals to seek the best solution for plan participants. Martha is a former Principal with Mercer. Her experience includes managing 401(k) recordkeeping teams for Mercer, The Wyatt Company (now Towers Watson), and in-house for Weyerhaeuser. She is able to bring the detailed knowledge of platforms and procedures to help plan sponsors understand and work within the constraints of the systems. Martha is a former Enrolled Actuary under ERISA and serves on the board of the Seattle chapter of Western Pension & Benefits Council and the Institutional Retirement Income Council, and is a frequent speaker at industry conferences. She is an honors graduate from the University of Washington in economics. Nancy Lorenzen brings more than 25 years of experience in the retirement industry and has been assisting clients with investment review and vendor management since 1995 as president of HR Advocates Inc. She has been supporting clients of Tejera & Associates with the evaluation of technical aspects of investment consulting proposals and project leadership or peer review on administration-related searches since 2006. During her career she has managed defined contribution recordkeeping departments, conducted oustide audits, and developed one of the first automated voice response systems for 401(k) plan enrollment. Nancy is a Certified Publc Accountant, has worked with PriceWaterhouseCoopers, Alexander & Alexander Consulting Group, and Ernst & Young. She serves on the Florida West Coast Employee Benefits Council and is based in Tampa, Florida. 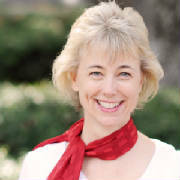 Michelle Rathbun brings more than 12 years of experience, as both a consultant and plan sponsor, in the funding, accounting, and administration of pension plans, providing her a strong analytical perspective when evaluationg proposals for highly technical and detailed retirement plan services. Michelle is a former actuarial consultant of Mercer where she worked with multiple facets of the annual funding, accounting, and valuation process of both private and public sponsored pension plans. Her work experience also includes Milliman, Sedgewick Noble Lowndes and in house for the Regence Group. Michelle is a former Enrolled Actuary under ERISA and has served on the leadership team of the Portland Actuarial Club. She is a Whitman College graduate with a degree in mathematics and is based in Portland, OR. Laura Renshaw is a retirement benefits professional with more than 12 years of experience working with organizations to manage and administer various benefit programs. Since 2011 she has managed the provider data for Tejera & Associates, including profiles and the evaluation of general capabilities. Previous experience includes leading a defined contribution recordkeeping team at Merrill Lynch (previously Howard Johnson & Company) and assisting with retirement benefits and compensation at Western Wireless Corporation (since acquired by T-Mobile). Laura completed the defined contribution portion of the Certified Employee Benefits Specialists (CEBS) series, received a Certification in Employee Benefits Law from the Institute of Applied Management & Law, and graduated from Central Washington University with a degree in Business Administration, specializing in Finance. She is based north of Seattle, WA. Martin Schmidt brings more than 25 years of experience in the administration, design, development, and evaluation of retirement plan systems. Since 2006 he has worked with HS2 to help plan providers develop their retirement offerings, including system design, product development, and market strategies. At Tejera & Associates, he applies this knowledge to help plan sponsors evaluate, select, and negotiate contractual arrangements with their service providers. 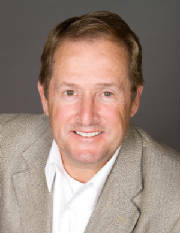 Martin is a former Principal with Buck Consultants where he managed the Midwest region of their retirement practice. His experience also includes managing 401(k) and defined benefit teams at Hewitt. He was responsible for developing third party relationship with system providers and trustees to support the first 401(k) daily trading platform at Hewitt. Martin holds a CPA certificate, serves on the board of the Institutional Retirement Income Council, and is a frequent speaker at industry conferences. He has a graduate degree in Finance from Loyola University of Chicago and an accounting degree from Northern Illinois University. He is based in Chicago, IL. 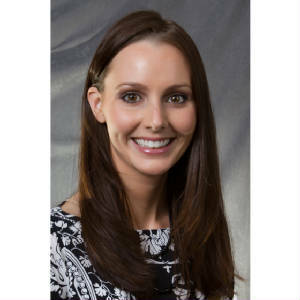 Jessica Tierney joined Tejera & Associates in 2014 with six years experience from a boutique recordkeeper and investment consulting firm. 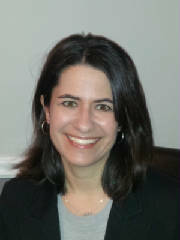 At Tejera she manages provider data for investment consulting and investment services firms. Jessica also assists with the evaluation of proposals and documentation of a sound due diligence process. Jessica’s background includes defined contribution recordkeeping, plan administration and compliance, as well as financial planning. Jessica earned her Qualified 401(k) Administrator designation from the American Society of Pension Professionals & Actuaries and is a CERTIFIED FINANCIAL PLANNER™ certificant. Jessica graduated from Portland State University with a bachelor of science in mathematics and is based in Portland, OR. David Williams is an investment professional with more than 18 years of experience consulting to organizations regarding the management, design and governance of their investment programs and retirement plans. He joined Tejera & Associates in 2015 to help clients with the review and selection of investment and administration service providers. 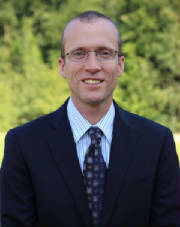 Previously, David was a Principal with Mercer. His background includes broad investment consulting experience and defined contribution plan recordkeeping at Benefit Administration Company. 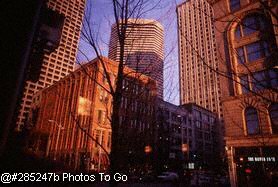 David is a CFA© charterholder and a member of the Seattle Society of Financial Analysts. He is a University of Puget Sound graduate with a degree in natural sciences and is based in Seattle, WA.